Mary Dynan, “My mother at the pump,” Life Histories Archive, accessed April 23, 2019, http://lifehistoriesarchive.com/items/show/2022. 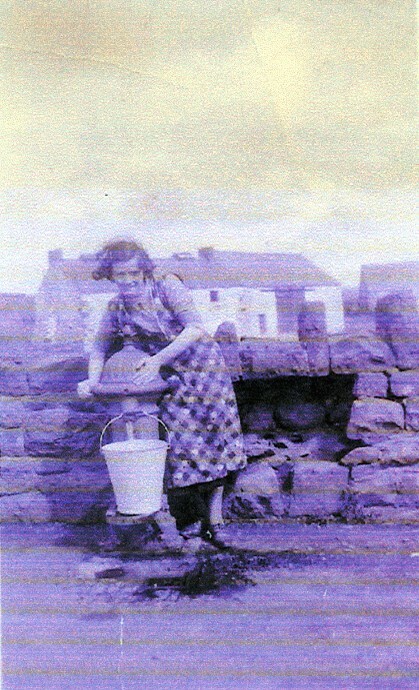 This is a picture of Mary Dynan's mother drawing water from the pump. When Mary's mother first married, herself and Mary's father lived in a house in Cloughmills that had no running water. They stayed there while awaiting the building of their new home in 1935.